Suppose they gave an inauguration and nobody came? 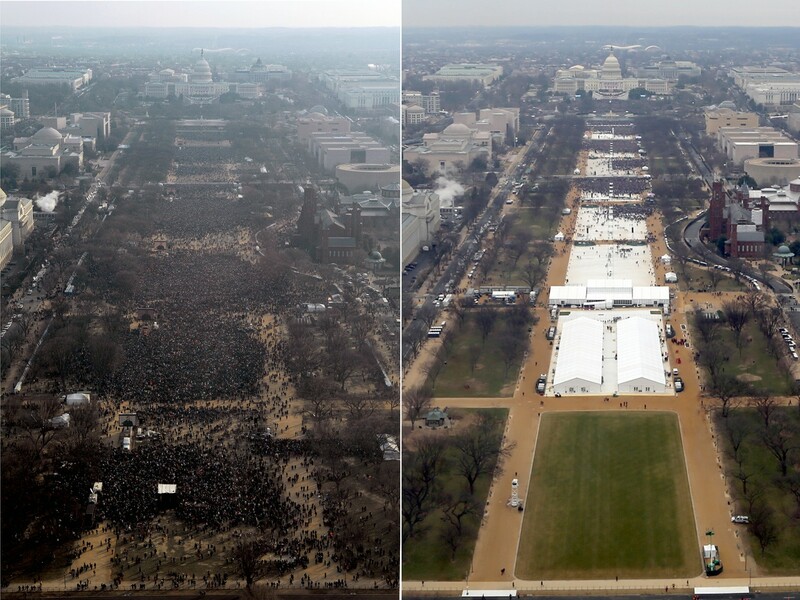 The photo on the left, of the Obama crowd, relative to the inauguration was taken one hour earlier than the gathering of pump truppets. So Lügenduck maybe had a third of Obama’s gathering. But pump truppets will tell you that there are more people in the photo on the right than there are in the photo on the left because they’re deranged that way. This entry was posted in GOP, Liars, Politics, Stupid people by brobrubel. Bookmark the permalink.